An eclectic polyglot with an over-active imagination. I love meeting people and finding new adventures…most importantly I love writing and expressing myself. I believe that there is power in words and when words are mingled together the fusion of the thinking that goes into it and the power in expression creates a force unlike no other. I like reading, (any thing that is not too technical or scientific), writing (whatever comes to my mind), collecting quotations (anything that is charming, witty, insightful and inspiring), listening to music (as long as it is not crude, vulgar, suggestive or offensive). 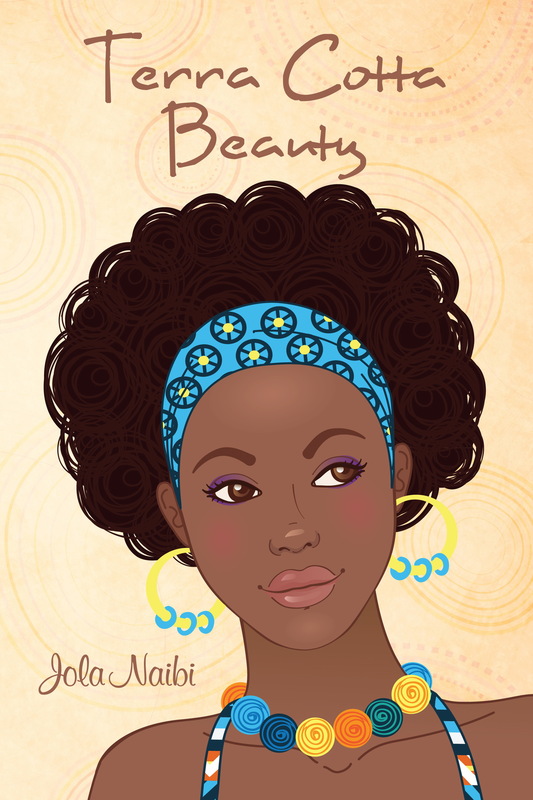 Terra Cotta Beauty is the author’s first book. Jola Naibi is currently working on a full-length novel, set to be released in 2016. She lives in the Washingtion Dc area. Follow the lives, loves, and hopes of an entire community in Jola Naibi’s moving debut. A carefully crafted selection of short stories, this collection examines life in Lagos, Nigeria, during the era of military rule. It reveals the struggles, loves, and hopes of a disparate group of people whose lives always manage to intersect – sometimes in the most devastating ways. With each brief conversation and split-second decision containing consequences that reach further than anyone could ever imagine, each of the book’s seven tales is a delicate thread that helps form the social fabric of a nation divided. Nothing. I am not a great fan of short stories, mainly because they are “short”. And I always want more afterward. But I did enjoy this book. The connexion between the stories through some of the characters was truly amazing. All seven stories were linked through some of the characters except for the first story. Let’s say you are reading story three, you will encounter some of the characters from story two. Ms Naibi is very insightful and her character are very wise. Great Stories, a lot of insighful details on Nigerian culture, the unfortunate impact of a military rule…This book is perfect for a rainy sunday. It was delightful to read it, mainly because it is simply written. You will definetely like the main character, a motherly figure, liked by everybody in the book and who seems to have it all.